I was able to visit the Final Step team in the middle of July. A few days spent with the team is never enough, but I was glad for the opportunity to spend some time with them and to meet the new team members. The trip was also important because the founders visited for the first time. It was a great trip and I was proud to show off the team to the founders and their guests. Scott and Sally devoted themselves to creating Cure and providing life saving and life changing surgeries, so it was especially nice for them to meet and engage with a few of those changed lives. The trip also had nice timing as the team had just finished their largest client project and had really performed very well. This visit and their recent performance reviews validated our proof of concept and cemented my commitment to the mission of creating jobs for people with physical challenges. I’m late with this update because August was spent working hard on growth strategies, refining the business plan, and developing hiring and marketing strategies. We must scale to succeed and now the hard work starts, connecting with businesses that can benefit from our data entry services. For those of you just learning about The Final Step, we offer data entry services, including: routine data processing, machine learning, social media or comment moderation, transcription services, OCR text review, archival digitization, and text-from-image processing. Our services help clients accomplish their business goals, providing significant cost savings, while creating jobs for marginalized communities to help them alleviate poverty. When plotting an ambitious course and considering the challenges ahead, it’s easy to doubt. I’ve even been told repeatedly that this wont work, but I know and trust it will. So, it’s important to reflect on how far you’ve come, to celebrate the milestones. We have doubled the size of our team, celebrated the one year anniversary of their start, endured a few unexpected challenges, and enjoyed great performance reviews for their work. The scope of this undertaking makes me weary, but the promise of God to accomplish what He begins sustains me. The expression “because reasons” is an internet phrase used in place of actual reasons, often when a question is too complex to give a simple answer or the answer should be obvious. So, I love what I do, because reasons. 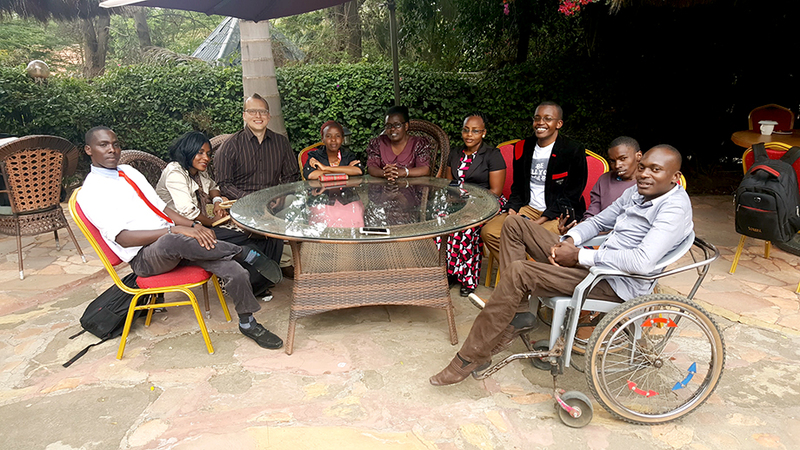 The mission is to provide gainful employment for people with physical disabilities in East Africa and the vision is to provide 2,000 jobs in the next five years. I’ve spent a year getting started, finding a small team, and preparing them to start our first big client project this week. At times the task seems daunting and discussing it is often met with doubt and blank stares. I feel the burden of the responsibility constantly and sometimes self-doubt creeps in as I tackle a growing list of challenges. Despite all of that, I love what I do. First, I love the team, their smiles, hard work, energy, eagerness, and optimism. I love that the competition doesn’t matter. I’m glad there are others ahead of us trying to help end poverty by providing jobs; the need is great and they help me raise the bar. I love the chance to innovate. I realize innovation takes time, but it’s worth it. I enjoy a good challenge and this is full of ’em. I feel like all my experiences have been in preparation for this “job”. The team is already able to help support others, like paying sibling school fees or organizing trips to take food and games to schools to encourage younger children with physical disabilities. I am excited by the many others doing remarkable things and I wish I could know and connect them all to increase the impact. I’m starting a network for social impact founders, stay tuned. This business combines so many of my interests, talents, and passions. I love what I do because reasons, too many meaningful reasons to give a simple answer and yet also wholly obvious. We started the year set on building schools for children with physical disabilities. Our first project, in Mbale Uganda, was nearing completion with more than 20 children enrolled. However, we quickly realized there were many more organizations serving the education needs, even of the disabled community, than there were creating jobs. So, we pushed our time-frame ahead by a decade and began focusing on creating jobs instead. 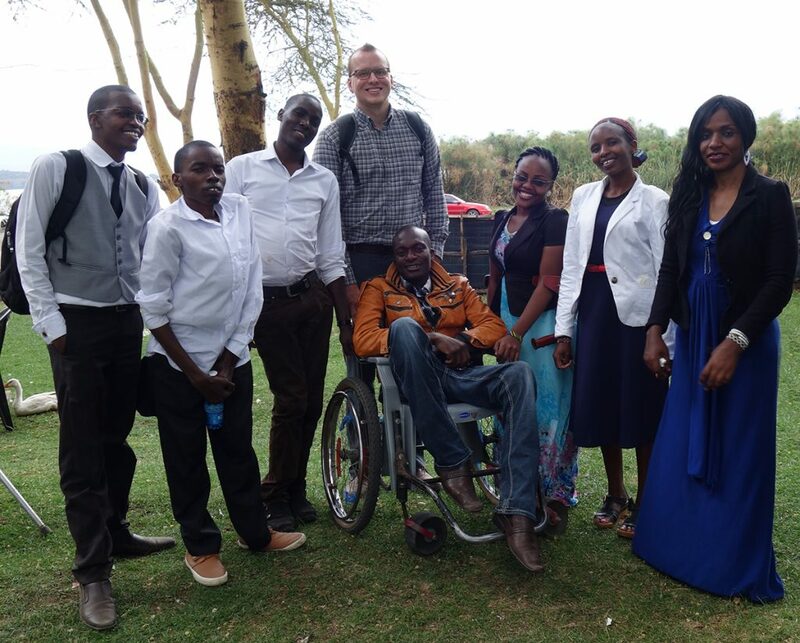 There is a new organization running that school now so we can focus on the task at hand, to create jobs for people with physical challenges in East Africa. We picked Kenya as the place to start and I was able to travel there three times in 2017. The first trip, in February, was 40 hours of travel and 80 hours in country. The second trip, in May, I was able to meet Daniel, who is our team leader now. He leads the team of 6, who I traveled to finish training in October. They are a great group of talented individuals, with physical challenges, who will be an integral part of our way forward. Before being asked to help start this new organization, I had been developing my own online donation software, which was going to be used to sponsor students in the schools. It was still important to me to continue developing it, as things transitioned from schools to job creation, but it was going to be supplementary and we expected to market traditional data entry work as our primary focus. 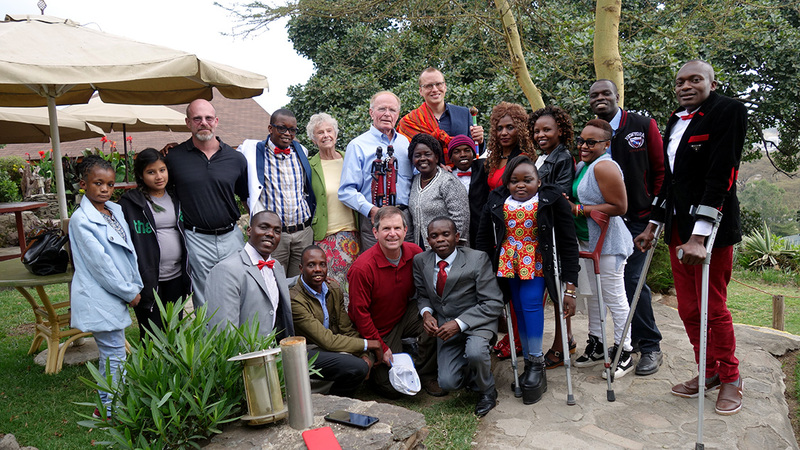 So, I went to Kenya in October expecting to return to the US to begin finding data entry work for the team. Instead, upon returning, we decided to focus on software. I knew the software would eventually create some jobs, but we realized our team is really what makes us unique. Our mission to create jobs for people with physical challenges can not simply reduce them to cogs in a machine, so we’re putting the team front and center. We are creating jobs by making software powered by humans. In an age when software and technology is replacing a lot of traditional outsourcing work, we will make software reliant on people. The team will provide customer service and support, they’ll provide time saving site monitoring services and updates, and they will add back the human element. Looking ahead, 2018 is full of optimism. I see it on the team’s faces as they eagerly await the chance to work hard, thankful for the opportunity to have a good job. I’m full of hopefulness and confidence about the direction we’re headed. I know the team is ready and I think churches, schools, and organizations will enjoy knowing that using our software will help make an impact. I’m pleased with what we were able to accomplish in 2017. We “pivoted” twice, but still managed to put together a solid team, completed a trial period with the online donation software, and have positioned ourselves for growth in 2018. 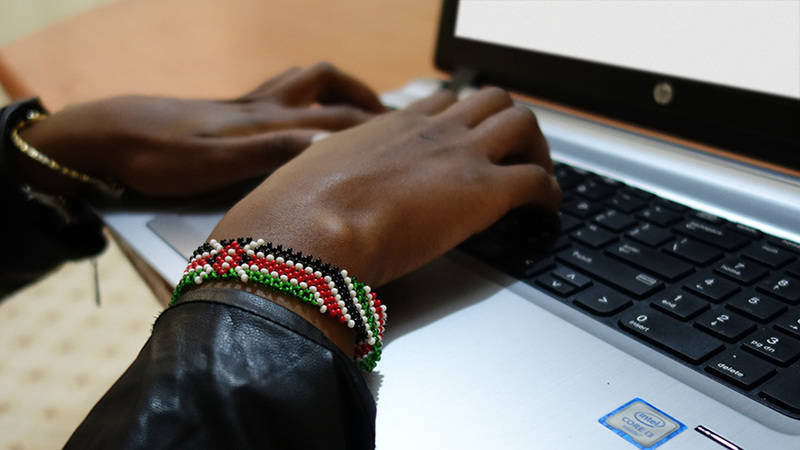 In fact, I’m looking to hire a secretary here and we hope to grow the size of our team in Kenya. Please look for some more updates about the software soon and thanks for reading. Somehow it has already been more than a week since I returned from my trip to Kenya, where I was able to spend time training and assessing the team. It was a really great trip and I really enjoyed my time there, bonding with the team and better understanding our capabilities. As I shared in the last post, they learned new computer skills well and were even able to correct me when I made a mistake. It does feel like this weird second life, jetting off to Africa, having adventures while my family stays in the states. I wish I could work with them there longer, just to set the tone for the organization and to model good work ethic and hustle. Still, I know we have the right group of people there to move forward and they’ve already demonstrated initiative and hard work. They have met and exceeded my expectations. I’m able to pay my brother’s and sister’s school fees and am even feeding the family. I thank God a lot. I’m able to cater for my basic needs which I was not able to meet before. I no longer depend on my mother, in fact I am helping her. This excites me and I’m proud of each of them.